The 6th Booktrailer Festival is fast approaching. So, the jury members have started evaluating the submitted works, Trend Life reported. 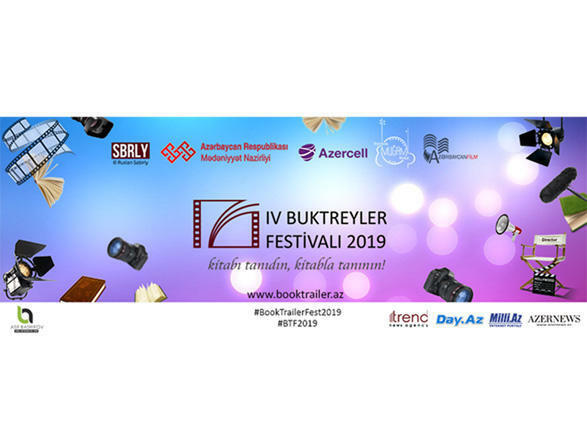 The festival's director Ruslan Sabirli stressed that the Organizing Committee has already checked the booktrailers for their compliance with the rules and requirements of the project. "Selected book trailers were sent to the jury members, whose names were not disclosed before the vote. I would like to note that the jury members do not vote together, but separately, that is, no one knows the ratings of colleagues. All this ensures objectivity of results. We wish all the participants good luck!" said Ruslan Sabirli. The festival is held under the motto "Kitabı tanıdın, kitabla tanının!" (Promote a book, get promoted with a book!) with the support of the Ministry of Culture of Azerbaijan, the International Mugham Center, Azerbaijanfilm Studio and Azercell Telekom.